Posted 10:19 pm by & filed under Events, Protest Actions, UK Specific. 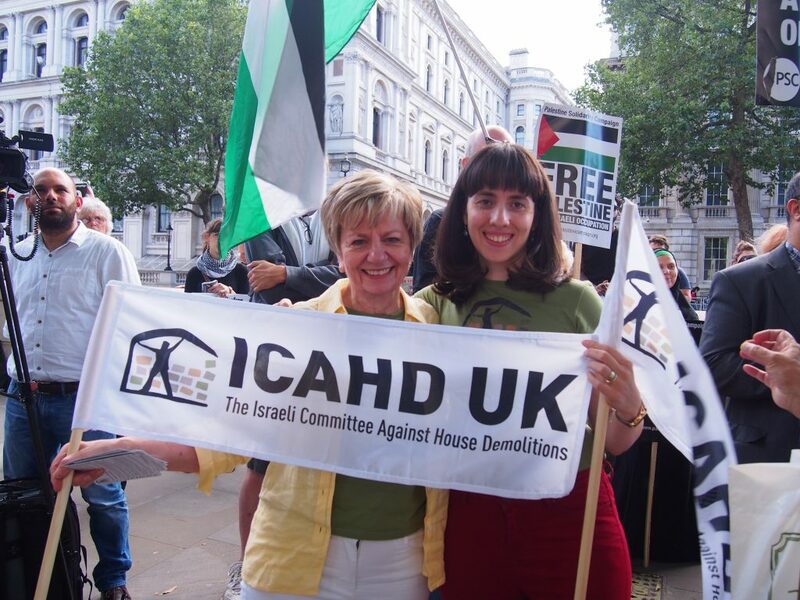 ICAHD UK participated in the rally outside Downing Street last weekend that called for an end to the siege on Gaza and the UK arms trade with Israel. Some of the speakers are captured on this three minute clip from the rally. The reference to demolitions and displacement was from campaigner Elizabeth Jadon, who spoke on our behalf. The full talk from Elizabeth follows below, as she highlights the work of ICAHD and the plight that Gazan’s face today. B’tselem recently produced this detailed report on Gaza – 50 Days: More than 500 Children: Facts and figures on fatalities in Gaza, Summer 2014. Shockingly, by the end of 2015, only 15% of displaced families had returned to their homes. Now, two years later, 75,000 Gazans are still homeless.